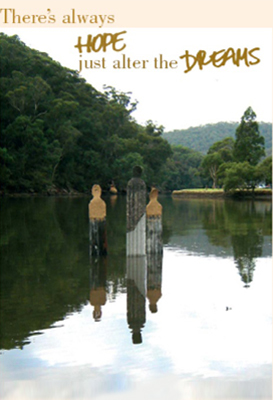 Cheryl Koenig was born, and still resides, in the southern suburbs of Sydney. She met her soul mate, Rob, whilst still in school and married at the age of just nineteen. More than thirty years later she is still very happily married and has two treasured sons. Cheryl volunteers much of her free time assisting in development of government policy and services in the health care arena, as well as speaking at various Medical Conferences; Rotary and other Community Groups; Carer Support Groups and/or Disability Groups; including training days for clinical networks or those who work in the disability arena. Through tireless fundraising efforts, she has helped raise over $190,000 for various health care services and non-government support groups, and she is passionate about advocating for carers to be validated for the important role they play in society. 2016 Lifetime Member for Sutherland Shire Carer Support Services Inc.
At the age of just 12 years old, Cheryl’s son Jonathan was involved in a horrific car accident and suffered an extremely severe traumatic brain injury. Jonathan was in a coma for six weeks and was given very little chance of survival. Doctors predicted that if he did survive, he would be unable to walk, talk or even eat again. Cheryl refused to accept this prognosis and set out on a relentless quest to save her son. 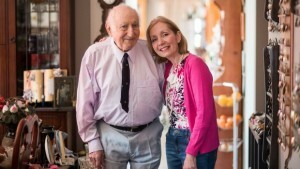 Her fervent hope that he would one day be well again was poignantly expressed by his many school friends, who filled their school prayer room with hundreds of handmade paper cranes – symbols of hope and healing. The journey from that horrible day has been long and difficult, with road blocks at every turn. Not only has she had to fight to save her son, she’s faced many struggles in her role as his carer. Jonathan has since completed his HSC, a TAFE course and is currently learning to drive. He can walk well, and has just begun to run; he can snow ski; swim laps; play tennis and astounds many with his piano playing skills. All this as well as working five days a week in four part-time jobs. Cheryl has written about her remarkable son in ‘Paper Cranes: A Mother’s Story of Hope, Courage and Determination’ and chronicles her family’s journey through despair, denial and anger, to eventual acceptance and healing. This is her third book, having already written two books in a voluntary capacity for NSW Health Agency for Clinical Innovation. In 2006 she helped raise $160,000 for a new wheel-chair modified bus for Liverpool Hospital, and through proceeds from the book launch of ‘Paper Cranes’, she raised over $26,000 for services in the area of brain injury. She has also donated a significant amount from proceeds of sales of ‘Paper Cranes’ to various hospital foundations and non-government service providers. 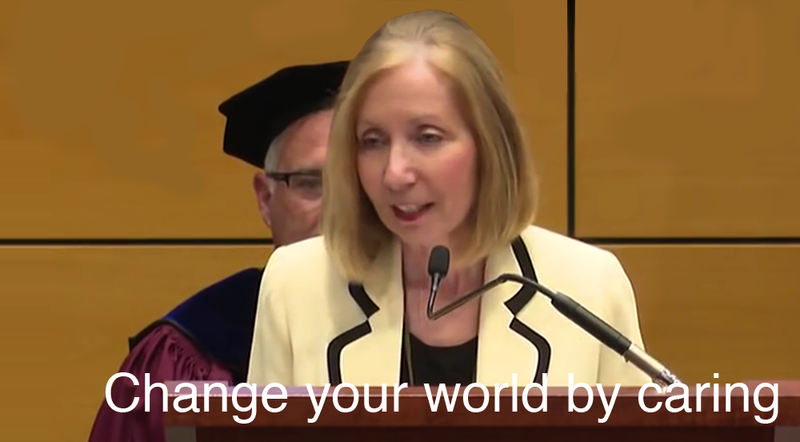 Cheryl is well known for her community work and as a motivational speaker. Her stories are inspirational journeys of life and the importance of hope, resilience and family. 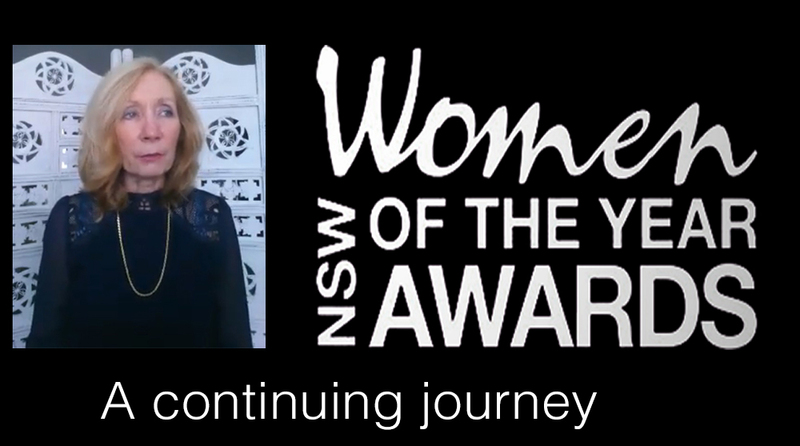 Cheryl was named 2009 NSW Woman of the Year, and in 2014 received the Medal of the Order of Australia for services to people with disabilities, their families and carers. Her involvement with disability services arose out of caring and advocacy for her son who was severely injured in a vehicle accident. That story was captured in her earlier book, Paper Cranes. Cheryl continues to volunteer her time to improve health care services, which she combines with her passion for writing. Cheryl takes immense pride in taking part in celebrations on Australia Day as an Ambassador (2011-present). She travels to regional areas each year to give an address about her thoughts on Australia and what it means to be be Australian. 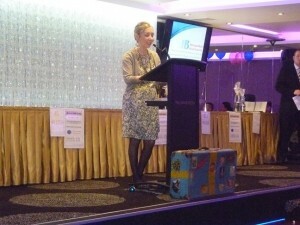 The Hon John Ajaka, NSW Minister for Ageing, Disability Services & Multiculturalism launched WITH JUST ONE SUITCASE as a Fundaiser for Sutherland Shire Carer Support Service (for whom she is an Ambassador) at a Gala Dinner on Friday,19th June 2015. Cheryl is doing a number of speaking engagements and is proud to announce proceeds from her book launch, with the dedicated support from SSCSS team, raised $18,500.00 that will directly benefit Carers in the Sutherland Shire. Cheryl would like to take this opportunity to thank all those who attended and bought raffle tickets. As well, sincere gratitude to our major sponsors: CarersNSW; Kincare Health Services; Commercial Property Bankstown; Agency for Clinical Innovation; AusRealty; J.B. Metropolitan Distributors; Slater + Gordon Solicitors; iPac Financial Services; SpecSaver Southgate. Care for Carers. This video was produced by the NSW Family and Community Services Department and features Jono’ Koenig and some of his friends with a cameo by Cheryl. To view in fullscreen mode click the icon on the right of the player. 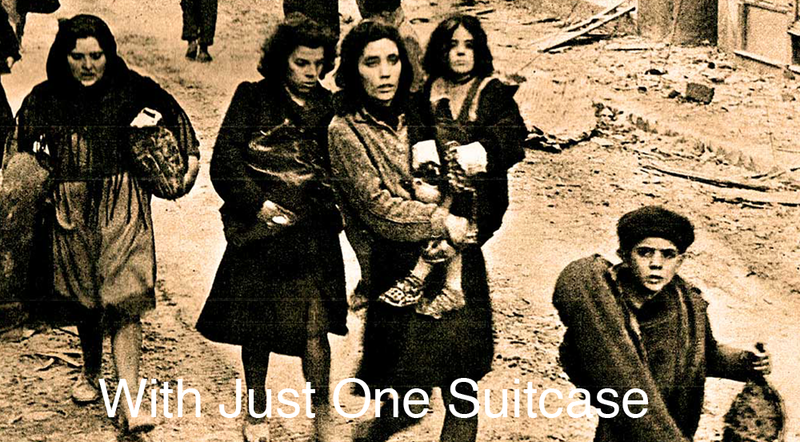 Hi Cheryl,I’ve just finished your wonderful book ‘With Just One Suitcase’ and I hope you don’t mind me contactng you. I found your book just so profoundly moving and just a wonderful book to read that I ended up finishing it overnight. It reminded me of how much we take for granted here in Australia, how lucky we are (I am) not to have experienced the dislocation of war and loss, and how profoundly resilient so many from migrant families are. My family (several generations back) were migrants and it reinforced to me how much so many from migrant backgrounds work hard and seem to value hard work and the opportunities we have here in Australia. Thank you for sharing your family’s story in such a beautiful, moving book. 12 December 2015: SMH Goodweekend -Two Of Us Feature. 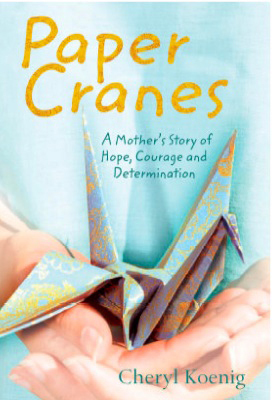 Cheryl’s first book Paper Cranes (Exisle Publishing, 2008) has raised $26,000 for brain injury services from the book launch alone, and Cheryl has since raised close to $200,000 for various health care services and non-government community support groups through her fundraising efforts. News items documenting Cheryl’s ongoing campaign to raise awareness of the role of Carers and people with disability (in particular acquired brain injury) in Australia. 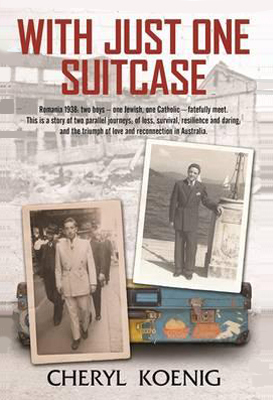 May 2015: St George & Sutherland Shire Leader promotes the upcoming launch of With Just One Suitcase at a gala fundraiser at The Grand Roxy, Brighton-Le-Sands NSW Minister for Ageing and Disability, John Ajaka. Cheryl talks about unpaid Carers in the community – and how her whole family have at some point throughout their lives have played this important role – supporting loved ones physically and as their advocates in the community. May 2014: Cheryl is appointed as the NSW Representative to Slater + Gordon Health Projects and Research Fund. This initiative works to help improve the lives of people in the community who suffer from serious illness or live with significant disability. Visit www.sscss.org.au for more information about the important community support this organization provides. Dec 2014:Cheryl is reappointed to NSW Government Carer’s Advisory Council for a further two years. The NSW Carers Advisory Council provides advice on legislation, policy and other matters that have a significant impact on Carers. Cheryl was first appointed to the ‘Inaugural NSW Government Carer’s Advisory Council’ in December 2010 for a four year term.The re-appointment recognises Cheryl’s efforts to raise community awareness, have Carers recognised and respected within society and be a voice for their issues at a government level. 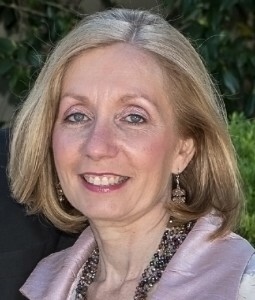 In 2013, Cheryl was made a member of the NSW Carer’s Strategy Project Management Group – which is a co-design NSW Govt initiative with the aim of improving the lives of unpaid Carers in five focus areas: employment & education; health & wellbeing; information & community awareness; carers engagement; and improving evidence base. 2011, 2012 and 2013: Cheryl & Jono named Ambassadors for ‘Bang On A Beanie’ campaign. ‘Bang On A Beanie’ is a joint effort between Synapse and the consortium of Brain Injury Associations across Australia. Cheryl and her son, Jonathan as joint Ambassadors for the campaign to raise awareness of brain injury disability and raise funds to help support the more than 1.6 million Australian families affected by Acquired Brain Injury. Buy and wear a blue beanie and show your support for those affected, their family and friends. All money raised helps fund accommodation for young people and educational resources for families. For more info visit BANGONABEANIE. 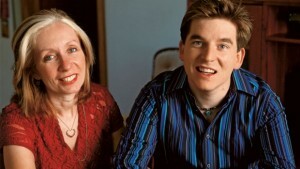 May 2011: Hope Channel: ‘Defying the Odds’. Rochelle Fraser interviews Cheryl and Jonathon Koenig about making a difference in other people’s lives. Jan 2011:Cheryl named a Life Member ofBrain Injury Australia, NSW (BIANSW) in recognition of her outstanding contribution in raising awareness of ABI. 24 Aug 2010:Cheryl helps raise $8,800 for Brain Injury Australia (BIA) at Canberra Raiders charity match. At a Canberra Raiders charity match on 24 July, Cheryl Koenig organised a campaign to raise awareness and support for Brain Injury Australia (BIA). Her son, Jonathan, ran on to the field with the team, wearing a specially designed jersey with the ‘Brain Injury Australia’ Logo. The signed jerseys were then auctioned off, with proceeds of $8,800 being donated to BIA. Aug 2010: ABC Radio – Conversations with Richard Fidler: Cheryl Koenig talks about traumatic brain injury. June 2008:Cheryl represents Australia in Brazil at the 5th Satellite Symposium on Neuropsychological Rehabilitation is being held in Brazil in July 2008. Cheryl was asked to submit an abstract to speak at the Symposium and her abstract was accepted by the Worldwide Neurospychological Selection Panel. Cheryl will represent Australia at the international event. 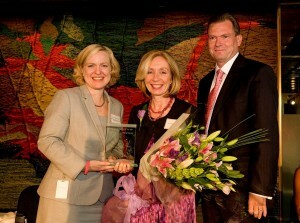 Cheryl with the Minister for Women, Verity Firth and the NSW Premier Nathan Rees. Nov 2008: Cheryl is presented the Sassy Award by Juanita Phillips, ABC News Presenter:”The winner of the Sassy Award for Strength of Purpose has written a wonderful book that is full of love, hope and proving that a mother’s love can move mountains. The book is ‘Paper Cranes’. “… Cheryl Koenig, you are an inspiration!” Australian author management agency, Selwa Anthony hosted their annual Sassy Awards (Selwa’s Authors’ Success Stories of the Year). Juanita Phillips from ABC News presented Cheryl with the Sassy Award for Strength of Purpose for her latest book, ‘Paper Cranes’. 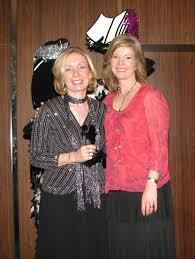 April 2008:‘Paper Cranes’ book launch raises over $25,000. The official launch of ‘Paper Cranes’ was held on Thursday 3 April 2008 at The Grand Roxy in Brighton Le Sands. Hosted by Glenn Wheeler (The Morning Show / 2UE) and attended by nearly 300 guests. The event was held as a fundraiser for brain injury services and was a phenomenal success with the support of local businesses that donated prizes and the generosity of guests on the night, over $20,000 was raised to help two organisations that provide essential services and support in the area of brain injury. 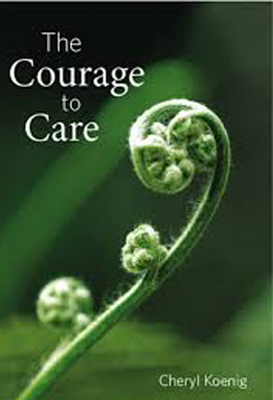 ‘The Friendship Foundation’, a not-for-profit organisation set up to assist Carers and people who are socially disadvantaged due to chronic illness or injury. … and,’Head2Work’ (02 9602 4922), a specialised vocational training provider servicing people with Traumatic Brain Injury in southern and south-west Sydney. A heartfelt thanks goes out to everyone who supported and attended the event, making it such a success. This page contains information about groups that might be of assistance to Carers and those with brain related injuries or disabilities. Cheryl is proud to be named a ‘Lifetime Member of Brain Injury Association of NSW’ (see below for contact details). Jono and Cheryl are also ambassadors for “Sidetember” – a creative project run each year in September that challenges you to do your bit ‘On the Side’ to help raise awareness and support for the 1-in-12 Aussies living with brain injury. For more information or to arrange media interviews with Brain Injury Australia, Sidetember or a Sidetember Ambassadors contact John Hanrahan at Lighthouse Communications Group on 02 8262 8999 or 0411 212 965. Cheryl is a representative for Carers NSW Inc. Brain Injury Associations are the leading advocacy body for people with acquired brain injury, their families, carers and other interested organisations. They represent the needs of these people to government, service providers, the broader community and the media. With any kind of brain injury, it is important never to give up hope and to be prepared to pursue alternative arrangements if you do not feel that every effort is being made to promote recovery. It is also important to realise that there is not one ‘magic bullet’ or overnight cure — recovery from traumatic brain injury takes years of hard work and determination. In my opinion, this is the best specialised rehabilitation hospital in Australia, and statistics seem to support this with 97% of all Traumatic Brain Injury patients achieving independent walking (as reported by the physiotherapy journal, ‘inmotion’ in April 2005).